RAFT – a medical research charity dedicated to improving the lives of children and adults that have suffered physical trauma. 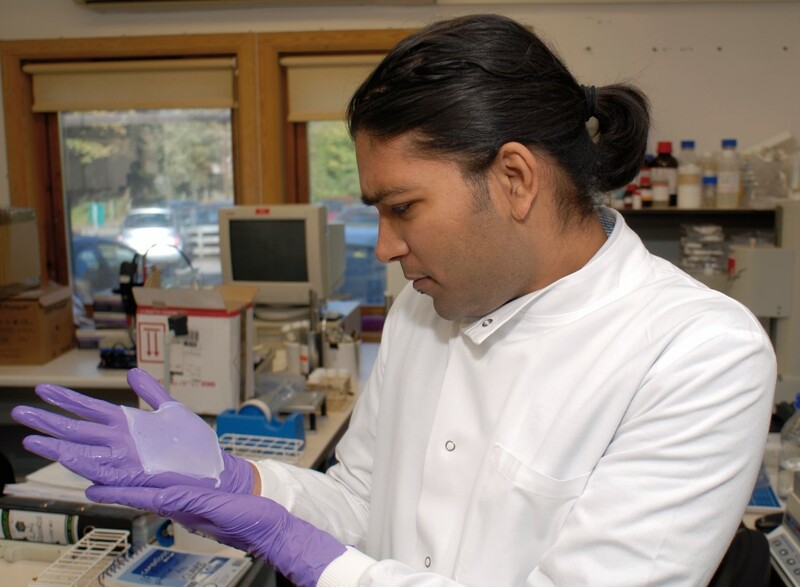 RAFT’s research projects are primarily focused on developing novel treatments which help the body restore tissue (such as skin, bone and breast tissue) which has been affected by physical trauma or a birth defect. RAFT develops its own research programmes which are evaluated by an independent Scientific Advisory Committee. The research is undertaken by our own scientists and is driven by patient need rather than commercial imperative or specific interests. To maximise the potential of our projects we also work collaboratively, with some of the world’s leading medical and academic institutions. These include University College London, the Royal Free Hospital and the Mayo clinic in the USA. Such collaborations give us access to state-of-the-art equipment, mentorship and technical skill. We also run our own Surgical Research Fellowship Programme to help train the next generation. Over a two or three year period, RAFT Surgical Research Fellows undertake a combination of scientific and clinical training which forms the basis of a thesis for an MD (Medical Doctorate) or a PhD. A significant number of leading Consultant Plastic Surgeons practicing today have passed through RAFT’s doors and often provide our projects with their invaluable clinical expertise. Our overriding focus is determining what research will bring the greatest benefit to patients and delivering it to them in the shortest possible time. As a medical research charity, it is vital that our work makes a difference. When we decide to launch a new programme of research, we start with a specific patient need that is within our area of expertise. Next we will evaluate existing solutions, other research projects and the likely end benefit to patients they might offer. After evaluating all of the information, we look for an area where RAFT can make a tangible difference. Finally we look at the best way we can take the project forward. The starting point for our research is direct dialogue with patients and caregivers. Their input ensures that our research moves in the right direction and is focused on the areas where the need is greatest. We never lose sight of the fact that the community and the people within in it is where it all begins. RAFT receives no Government funding and relies on donations and grants from individuals, grant-making trusts and companies. Our research programmes are supported by generous donors who share our vision and believe in our potential.